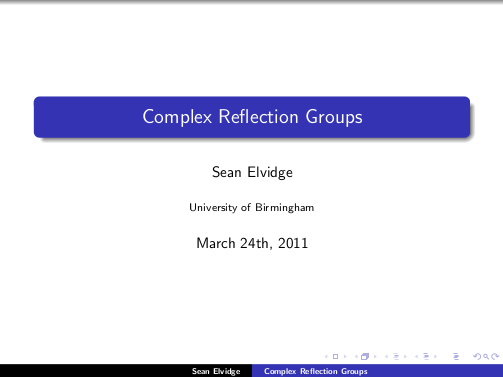 After a spring clean I came across a talk I gave on the classification of complex reflection groups back in March 2011. Nostalgia set in and I started to read through my notes. Whilst it only deals with the imprimitive complex reflection groups it seemed like a decent summary of the theory. So I thought I would digitise it and leave it here in case anyone ever found it useful. 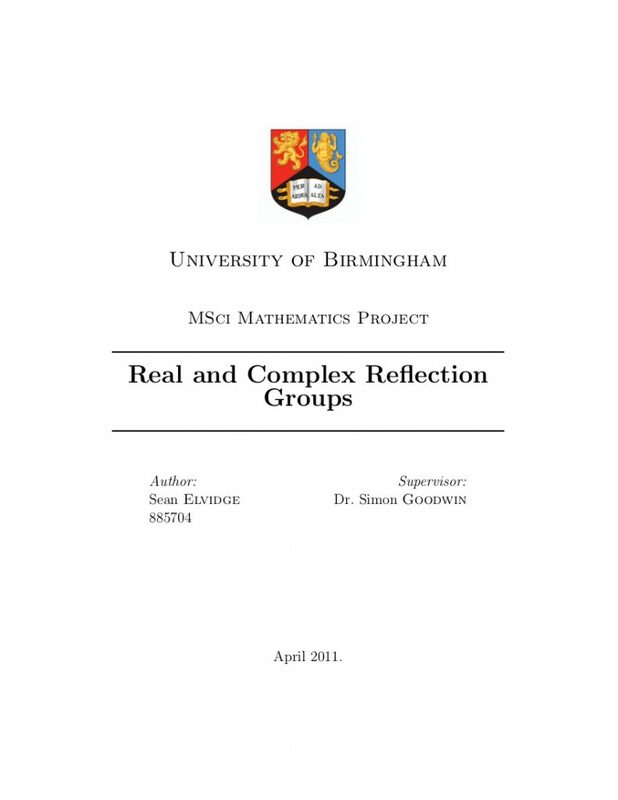 If you want to read (a lot) more about Complex Reflection Groups my undergraduate masters dissertation is available here. This entry was posted in Mathematics and tagged classification, complex reflection groups, group theory, mathematics. Bookmark the permalink.